A good option if you want to tick something off your bucket list! 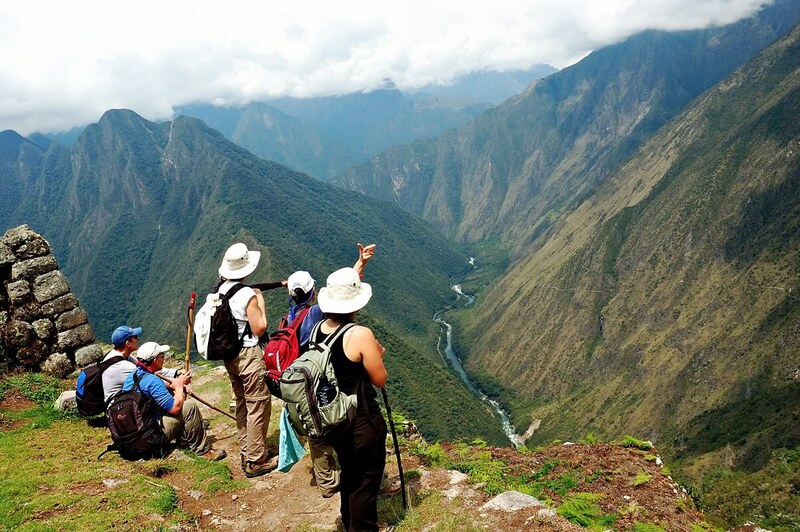 We’ll start with the traditional Inca Trail, as it’s by far the most popular and famous trek to Machu Picchu! To ensure the original Inca roads remain as undamaged as possible, the Peruvian government closes the route for the month of February, and limits the number of trekkers to 500 a day. This might sound like a lot, but passes sell out months in advance, which is why we always recommend booking well before you intend to travel. Your tour will depart from Cusco on the first day, and head into the Sacred Valley of Urubamba, where the trek will begin. The second day is considered the hardest, as you will be ascending to ‘Dead Woman’s Pass’, at around 4,200 meters above sea level, and parts of the trail are narrow and uneven. 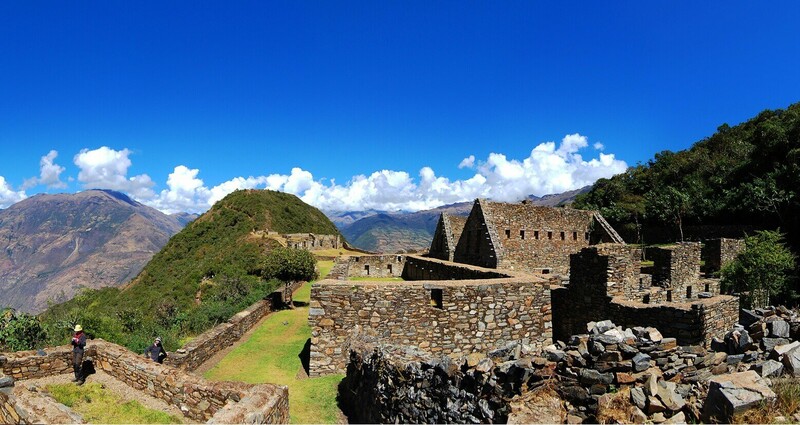 Over the next couple of days you will pass a number of Incan ruins, as well as spectacular scenery. The final morning involves an early start to hike up to the Sun Gate at Machu Picchu in time for sunrise. 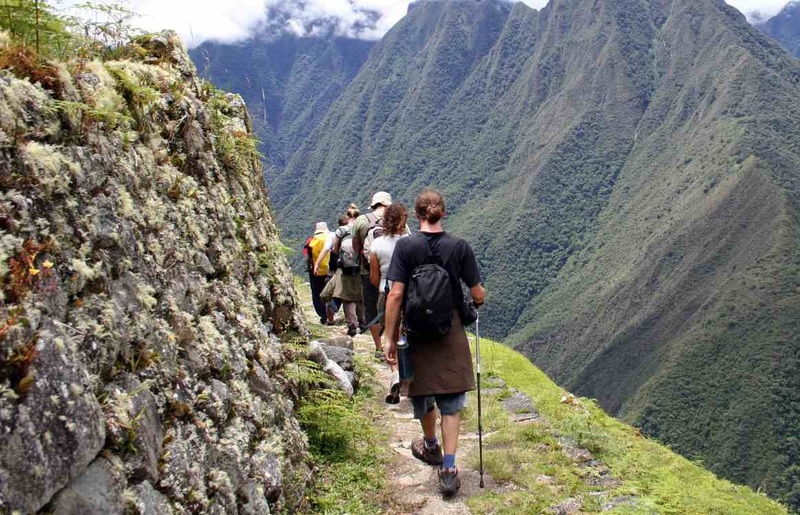 The benefit of the traditional Inca Trail is (apart from bragging rights) that it is the only trail that allows you to follow the ancient road used by the Incas, as well as visit a number of ruins along the way. Plus, most treks end before Machu Picchu, so you get to be first up to the Sun Gate for sunrise over the whole site. A good alternative if passes for the Inca Trail are sold out! The Salkantay trek begins in Mollepata, about 60 miles west of Cusco, and traverses the opposite side of Mount Salkantay to the Inca Trail. Reaching about 4,500 meters above sea level, the walk can be quite challenging, but the views are amazing and there are plenty of rest points. The scenery ranges from glacial mountains and lakes, to dense cloud forests and coffee plantations, so although the trek traditionally takes around 5 days, the changing surroundings means there’s always something interesting to look at. The first part of the trail involves negotiating the Salkantay Pass, before dropping down to the jungle village of Santa Teresa, and then heading towards Sahuayaco for fabulous side-on views of Machu Picchu. 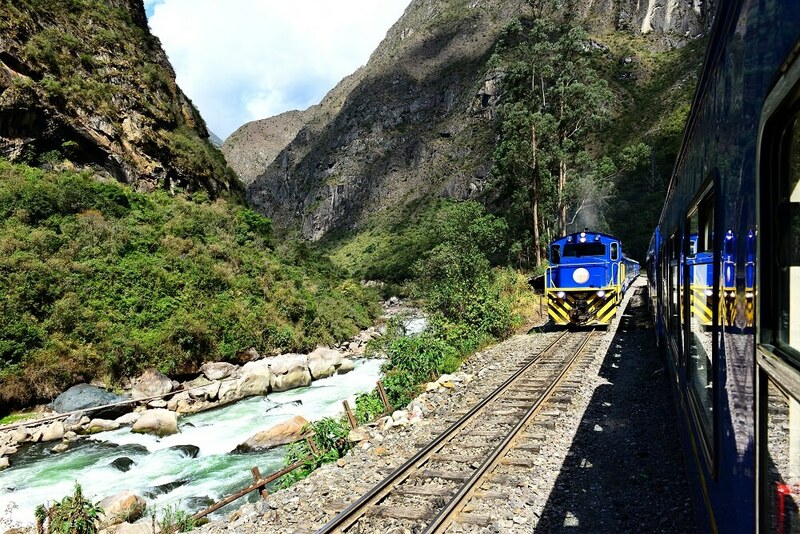 The final leg of the journey is a short train ride to Aguas Calientes from the Hydroelectric Station, which means you can either head straight up and explore the site immediately, or spend the day relaxing in the hot springs and then get up early the next morning for sunrise at the Sun Gate. The benefits of the Salkantay Trek are that you avoid the crowds doing the Inca Trail, the price is cheaper and the views are superior, however you will miss out on exploring the fascinating ruins along the traditional Incan highway, and the trek is generally considered more difficult. A good alternative if you want to get off the beaten track! 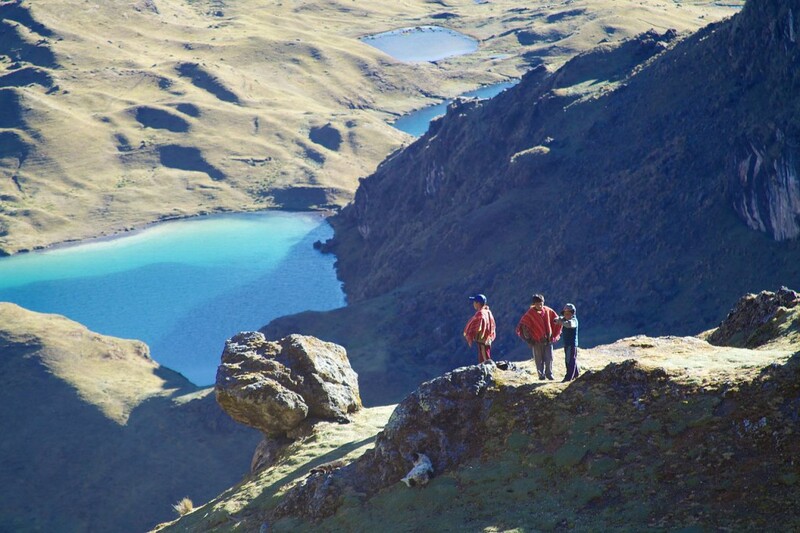 The Lares trek is one of our favourite alternative routes to Machu Picchu because of the fabulous, isolated scenery it takes in. The route begins in the Valley of Lares, about 90 miles drive north of Cusco, which is much more traditional and less-crowded than the Sacred Valley of Urubamba. Although the trek is considered slightly easier than the Inca Trail, it still involves high altitude mountain passes, over 4,500 meters. The glacial lakes and waterfalls that you pass are the highlights, and there are countless beautiful places to stop and rest. The first part of the trek takes you through sleepy Andean villages, where you can experience true Peruvian hospitality, away from the hordes of tourists in Cusco and the Sacred Valley. This trek truly is ‘off the beaten track’, and it’s likely that you won’t see another group for the duration of your hike. Ending in Ollantaytambo, you will join a train-load of tourists on their way to Aguas Calientes, and similarly to the Salkantay Trek, you can either go straight up or wait until the next morning. The obvious benefit of this route is its isolation, plus it is shorter and slightly easier than the more popular alternatives, but you still get the fabulous scenery. This is essentially a trek in its own right, rather than a trek to Machu Picchu, however most tour operators combine the two. A good alternative if you are short on time! Don’t miss out! The Mini Inca Trail is still a good option! The mini Inca Trail is a day-long trek to Machu Picchu, which basically follows the same route as the last day of the Classic Inca Trail. The route itself is not difficult, but the same rules apply regarding altitude, as this is still an Andean trek. The trek begins with a train ride to KM104, before you begin the ascent to the site of Wiñay Wayna, where you will pick up the traditional Inca Trail. From there you spend the afternoon trekking to Machu Picchu, where you’ll emerge through the Sun Gate in the evening. 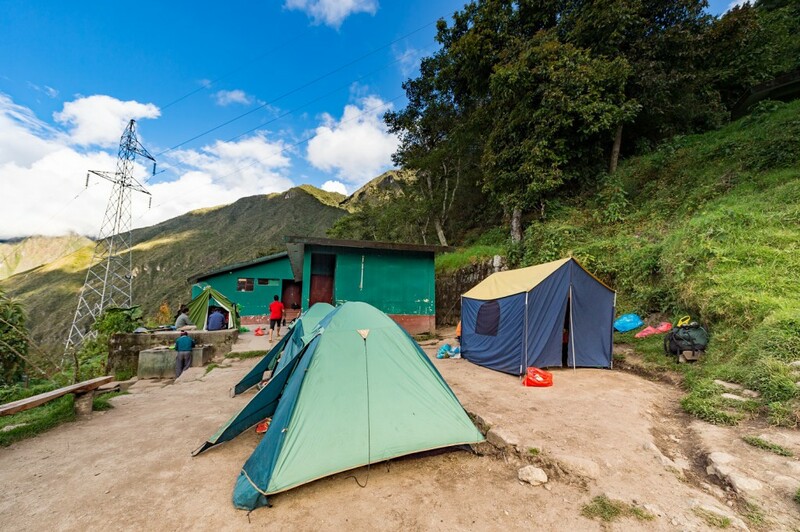 You will stay overnight in Aguas Calientes, so you can be up early to explore before the crowds get there. It’s a good option for those who aren’t fit enough for the traditional Inca Trail, but still want to experience hiking along the ancient Incan roads, and are willing to consider alternative routes to Machu Picchu. Or those who are short on time! However it doesn’t offer good value for money, considering it is essentially just 1 day, so paying a little extra to do the full Inca Trail is often preferable. A good alternative if you want to see another lost Incan city! Go while it’s still off the beaten path! This trek can either be done as a stand-alone 2-3 day hike to Choquequirao, or around a 9 day hike which includes Machu Picchu as well. Choquequirao is another lost Incan city in Peru, similar in architectural style and layout to Machu Picchu. 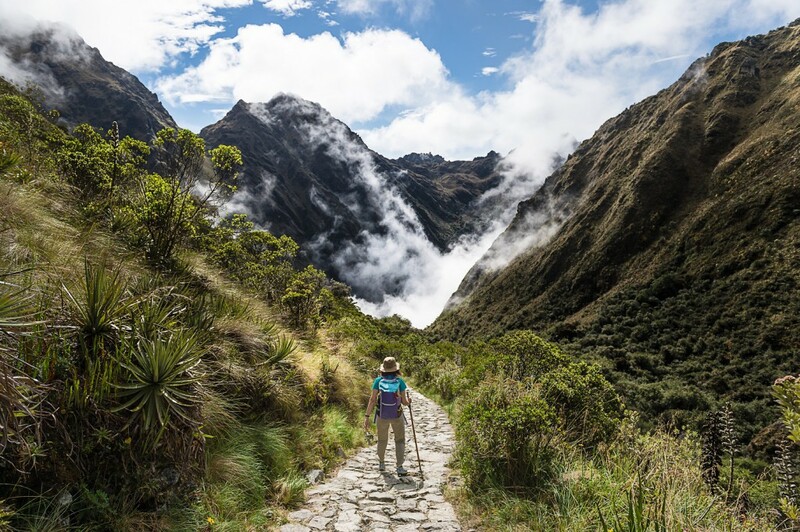 The main difference is access, and where Machu Picchu has roads, trains and tour buses, Choquequirao is surrounded by cloud forests, and the only way to reach it is the trek. This means the site is literally deserted, and remains almost exactly as it was hundreds of years ago, albeit a bit more overgrown. On the first day you will drive about 100 miles west of Cusco, past Mollepata, to Cachora. Unlike most of the other routes, this trek starts with a downhill section, and after an overnight camp you can head straight up to Choquequirao the next day. You don’t need a guide for the trek or even to explore the site, however we recommend doing it with a guide or small tour group to ensure your safety. If you choose the longer trek to Machu Picchu, you will continue on from Choquequirao and cross part of the Inca Trail at the Vicoria Pass. After another couple of days of trekking you will reach the Hydroelectric Station, where the Salkantay Trek ends. From here you take a train to Aguas Calientes for Machu Picchu. A good alternative if you don’t want to camp! 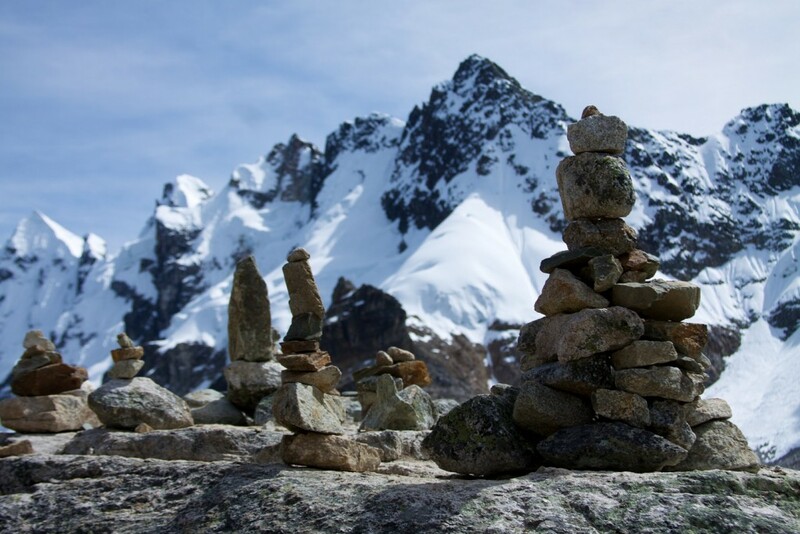 For those who want to experience hiking in the Andes, but don’t like the idea of camping along the way, a mountain lodge trek is a great alternative route to Machu Picchu. Mountain Lodges of Peru run versions of both the Salkantay and the Lares treks, staying in lodge-style accommodation at night. These treks are easier than the standard versions, and offer cultural activities which you can add on to break up the hiking a bit. These include visits to local communities, learning traditional weaving, and horse riding. The treks end with a private tour of Machu Picchu, and the luxury Vistadome train back to Cusco in the evening. The benefit of choosing to stay in the Mountain Lodges, is that you will be well rested and better able to enjoy your surroundings. However the price is significantly more than the standard treks, and for a lot of travellers, the camping is an exciting part of the trip. A good alternative if you don’t want to trek! The scenery in the Sacred Valley makes for a stunning train ride! This is the most popular route to Machu Picchu for the standard tourist who doesn’t want to do any trekking, as you can’t drive the route. It involves a train ride from Cusco, through the Sacred Valley, to Aguas Calientes. From here you will take a shuttle bus up to Machu Picchu, and you can either stay overnight or return to Cusco the same day. Bearing in mind the train takes 3-4 hours each way, we don’t think a day gives you enough time at Machu Picchu. So we recommend spending the first day exploring the Sacred Valley with a tour guide, before getting the train from Ollantaytambo to Aguas Calientes in the evening. The next morning you can head up to the site early, and spend the day exploring, before returning to Cusco in the evening. There are three different classes of tourist train running the exact same route, the Expedition, the Vistadome, and the Hiram Bingham. The Expedition is the standard service, which includes panoramic windows, and drinks and snacks. The Vistadome is slightly quicker but more expensive, and is similar to the Expedition train, with the additions of comfier seats and live entertainment on-board. The Hiram Bingham is the luxury option, which comes at a price tag, but also includes your ticket to Machu Picchu with a private guide. Whichever you choose you’re guaranteed stunning scenery and a comfy ride! As you can see, there are so many alternative routes to Machu Picchu, that choosing which one to take can be a difficult decision! But there is definitely a route to suit everyone, whether you want to trek or not. For more information about Machu Picchu, check out our complete guide here, and for some useful tips and maps for the Inca Trail, click here! Pingback: Am I Fit Enough to Trek the Inca Trail?